Perhaps you have heard just how good it can be to hire a domestic cleaner for your home and maybe you already have had such service. Having some of the annoying cleaning chores addressed by someone else is probably one of the best feelings in the world. That is especially when you are having a tough time at the office or when you have children, and they take every spare minute of your day. Declutter your rooms – or at least declutter the rooms where the cleaner will work. While it is understandable if you wish to just leave the mess to the cleaner, it is must better to make sure that there is as little clutter as possible. Clutter in this instance refers to everything that doesn’t belong in the room – clothes, toys, tools and such. You, as the person living in the home, know where everything goes and therefore should put it away. Don’t expect the cleaner to figure out where to put your stuff. By doing a quick declutter session yourself, you are sure to make their work much more efficient. It will save you money too – since the cleaner is not wasting her time, she will use the hours of the session to clean. Give very specific instructions – if you want the cleaner to focus on a particular task, make sure you list it. A cleaner will only address general tasks, but if you wish her to address your shower area, or pay closer attention to your kitchen, then tell her to do so. That is one way you will not be disappointed by the service. are fully vetted. You don’t want anything going missing from your place, do you? 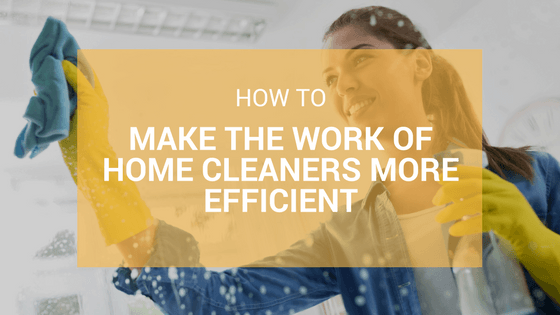 Set realistic goals for the time you hire them – if you expect to just enter your home and find it cleaned from top to bottom after just one 2 or 3-hour cleaning session, you are wrong. It can happen if you hire a cleaner for an entire day or two, but hardly in a single visit. It is a good idea to know what a cleaner can do in the allotted time of their visit so that you can choose the tasks they address. Give them access to your cleaning equipment – a domestic cleaner is most likely going to use your cleaning products which means that you should take those detergents and items you want them to use them for the service outside of hiding. That way the cleaner won’t waste any time digging for the squeegee to address window cleaning. 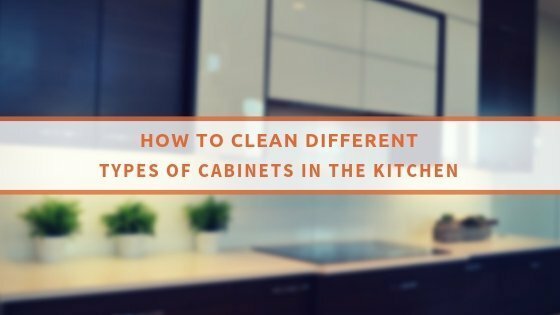 By following all of these tips, you guarantee that a domestic cleaner will be much more productive and provide you with a service that you will love.